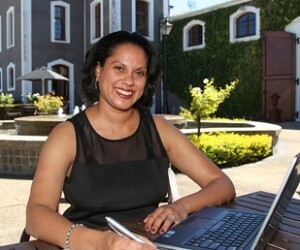 Fre-Nay Brown, Brand Home Manager of Van Ryn’s Brandy Distillery in Stellenbosch. Best decision: Deciding to go back to study for my Post-Graduate Diploma in Business Management and Administration (PGDipBMA) at the University of Stellenbosch Business School (USB) and now doing my MBA, also at the USB. Worst decision: Taking so long before I went back to study further. How do you feel about the role of women in senior positions in business and industry? Do we have enough women at these levels, or are we still merely window-dressing? We do not have enough female representation at a senior level within business. Women have a significant role to play within senior positions in business and industry. Negative perceptions regarding female leadership still exist and each of us in leadership positions have a responsibility to show how incorrect those perceptions are. It takes time to change perceptions and stereotypes in terms of women’s capabilities and the unique attributes they bring to the boardroom table. What advice would you give to young women still determining their path? First determine what is important to you in a career. Then find out as much as you can about the direction you want to follow. Speak to people within the roles you see as a potential direction for you to pursue. Always remember that to be successful in business does not mean that you must turn into a man and have character traits that are more masculine. Embrace your femininity as a strength. Do not forget to use your natural intuition when you make decisions. Now that you have faced certain challenges and experiences, what advice would you have liked to give to a 13-year old you? Get to know yourself and accept yourself without any judgement. Believe in your own abilities as an individual. Surround yourself with people who have a positive influence on your life. This includes friends and role models. Follow your instincts when faced with difficult situations. Intuitively, you know what needs to be done. See any failures or setbacks as opportunities to learn. Find a lesson you can take forward within your career in everything that happens to you. Network with people from different disciplines within the business world. Consider each interaction as an opportunity to learn more. When faced with difficult decisions that are outside your normal frame of reference, call on your network of people to assist you. This makes the whole decision-making process a learning experience for you and strengthens the relationships you have within your network. What woman/women inspires you and why? All women who manage to maintain a family while having a successful career and maintaining her femininity. Cooking tour in the Italian countryside. Most admired character trait in a person? The best decision was starting a family with children and a home to help me balance my lifestyle. The worst decision was not doing enough to stand up against racism in the earlier years of my career when I was still young, impressionable and subjugated by senior management. Confidence, a women can conquer anything a man can, you just have to believe in yourself. What qualities, in your view, do women bring to business and industry that men generally might not possess? Multi-tasking! It’s evident in my home, work environment and social life- so I can safely generalise, that working women are accountable for a lot more responsibilities in their all-round lifestyle. According to the 17th CEE report, females in senior positions account for 33.3% vs males at 66.7%. This is open to interpretation. For me, I am optimistic that it increasing since 1994 (always my benchmark). We are moving in the right direction, however the pace could be accelerated. A senior manager of mine had recently joined the business and displayed her academic certificates on her office wall. My first premature re-action was to tease her that she was showing off. Her reply was simple: “As women we often go through more challenging terrains as industry easily associates a women of being weak and incapable in a business environment. The certificate is to declare a stance, up front that I am full capable. I obtained my Masters Degree in PR and Communications. Now that you have faced certain challenges and experiences, what advice would you have liked to given to a 13-year old you? Trust your parents, at 13, you think you know everything. They are wiser with a lot more experience in life, and will always want what is best for you. 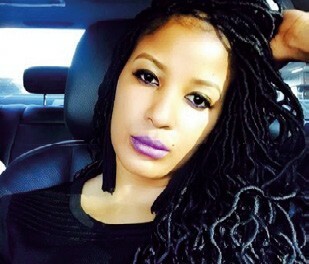 Gomolemo is a young, vibrant, future focused businesswoman. She was introduced to business at a very tender age and is also Managing Director at Sun Success Construction; a family owned and successfully run business for 7 years now. 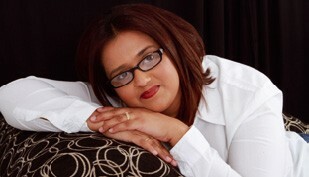 She owned and managed a News Cafe Restaurant in Northcliff for 3 years and is passionate about women development. She has travelled around the world, enjoying countries such as Brazil, China and the United States of America. 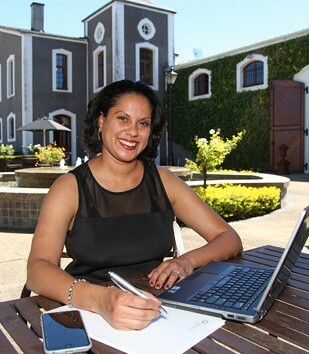 Her travel endeavour’s made her realise her passion for the travel and tourism Industry. The best business decision I made was to set up the Manche Investment Group structure, alongside my mother and sister who are also both business owners (Tshego Manche owns La Manche Clothing, and Palesa Rose Manche owns Sun Success Construction). I realized a business journey can be lonely and quite isolated, but as the Manche Investment Group we are stronger as a united front. We have different strengths and have made a concerted effort to support, include and uplift each other. A big learning for me is that I based my recruitment decisions on emotion, rather than making it a business decision. I wanted to employ as many people as I could, and give them a platform to learn, grow and move forward in their lives while providing for others. In as much as one can hire a great attitude and personality, the employee needs to positively contribute and add value to the business, as opposed to taking all your resources to improve and upskill the individual. My initial hiring decisions could have been more objective. I actually wanted to get into the music business. I have a deep love for music, it’s such a uniting force. I love that anyone, regardless of colour or religion can relate to it. I was a backing vocalist for one of the biggest RnB acts in SA, and I had just landed a recording contract and was set to become a singer, when I realized that I just couldn’t identify with that life—I didn’t want fame and attention. I’ve always loved travelling, it teaches you to open your mind so it was a natural and organic attraction for me, and once I was in the industry, I loved it. Two things—access to funding and access to the market. Startup capital is really hard to come by, specifically for women I feel. And secondly, it’s my experience that men do not take women in business seriously enough. Instead of a potential business partner, men see a skirt, an object. It’s incredibly disrespectful, and I’m continuously disheartened and discouraged because I have to work so hard to prove myself, to the point where I’m apprehensive to go out and get new business because I know what I’m up against. I wish that men would treat women as equals and treat women with respect, so that we could focus, unite and accomplish great things together. Women like Basetsana Kumalo and her sister, Johanna Mukoki, who founded Travel With Flair, are two of my biggest inspirations, as is Khanyi Dhlomo and my mother Palesa Manche. These women are extremely tough and consistently achieving new things. They also give back to their communities. The women behind us are so fortunate in so many ways. They have access to information and opportunities however, they have to realise that despite the degree(s) they have to their names, the world owes them nothing. You have to be tenacious, push boundaries, go the extra mile, give back and be passionate about your work, or your life won’t be a success. I encourage young women to think long and hard about what they really want to do with their lives - be anything but complacent.